Don’t call it Google, call it Alphabet. In a blog post published yesterday, Larry Page, the CEO of Google announced a restructuring of the tech giant that will see it adopt a new name, Alphabet. The company has also secured the domain name abc.xyz. This doesn’t mean the name Google is gone completely. Alphabet becomes the holding company under which Google will fall under. So we can still call it Googling, and every other service we know won’t change. Google will, however, have a narrowed focus and will cover services including the search engine, which most people have come to associate the company with. Google also picks up the Google Ads, Android, Chrome and Infrastructure, with YouTube falling under its knit, albeit with its independent CEO. With the new trading name of Alphabet Inc, Shareholders in Google will have their equity converted into the equal number of Alphabet shares. Each of these companies will have a “strong CEO” and operate with a lot of independence. Larry Page and the co-founder of Google, Sergey Brin, will assist the CEOs where needed and pick up the tasks of capital allocation and figuring out compensation. Larry Page assumes the role of CEO of Alphabet and Sergey Brin will act as the conglomerate’s President. Sundar Pichai, the man who has been heading Product and Engineering at Google’s internet services since last year has been tapped as the new CEO of the “new” separate company, Google. The other Google companies that fall under this alphabet include Calico (the division working on longevity research), Life Sciences (the team developing contact lenses tech), X Labs (the team developing next gen tech like self driving cars and internet balloons), Nest (the thermostat division), Fiber (Google’s bet on broadband) and Ventures (the startup ventures company). In those words, he has captured the challenges that every evolving tech company experiences once it adopts the cloak of corporate identity. Looking at the alphabetization of Google and how another tech giant, Alibaba, is structured, the clear impression is that the new playbook for tech company reinvention is all about autonomous units under one big umbrella. Everyman in the street will want to have a say and lots of meetings will be held in posh resort areas by NGOs articulating how individual rights are being violated and gvt ministers gracing the meetings in show of support. Then excited ministers will make noise and start crafting laws to suit their ego and to show who has power. In our Zim, such vision and business acumen in not welcome, it will suffer a still birth because if its Larry Page who tries it in Zim, indigenisation will be thrown at him until he gives up and if its Strive Masiwa, monopoly tantrums will be thrown everywhere. 1. Just because they can do it in the West/America doesn’t mean its right. 2. Just because we do it in Zimbabwe doesn’t mean its wrong. @Chibuku are we reading the same article, because there is nothing illegal that Google aka Alphabet has done, its organizational restructuring plain & simple no hidden meaning here. no link. just a response to @Macd who brought the issue of monopolies and Zim up. alphabet.com is already owned by a subsidiary of BMW. And BMW isn’t willing to sell the domain. 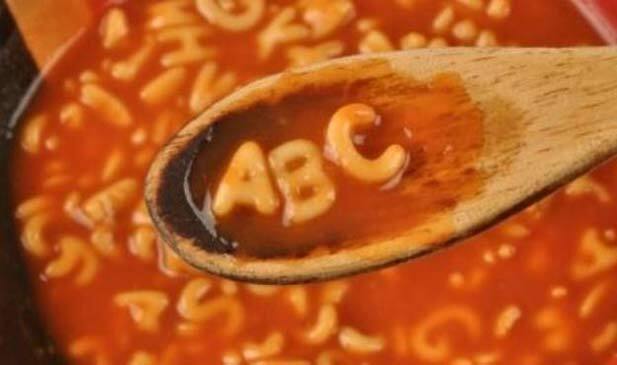 May result in some branding and copyright issues for the new Alphabet. Google had $64 billion in cash on and short term investments at the end of the last quarter. BMW’s entire market cap is currently $54.3 billion – if Google Alphabet really wanted the domain, they could buy BMW. Bmw is not for sale. If Google buys,BMW it will be out of business .